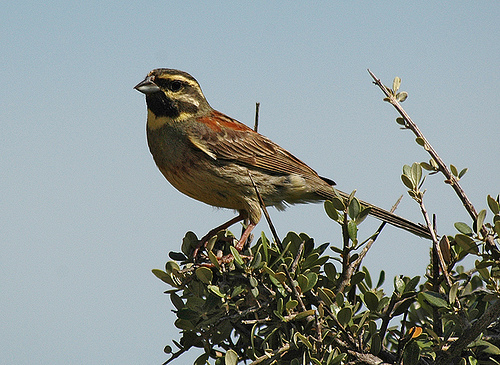 The Cirl Bunting lives mainly in southern Europe. It looks like a Yellowhammer, but has a black throat. The Yellowhammer has a yellow throat and breast. 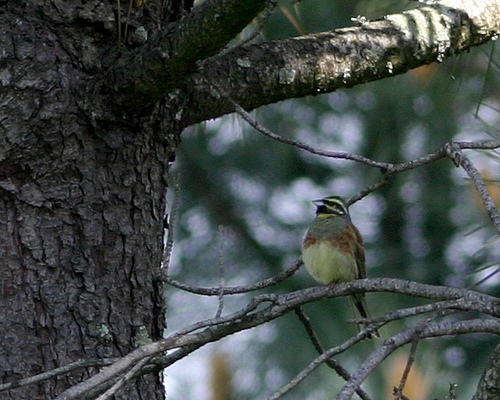 The Cirl Bunting has a black throat and is greyer than the Yellowhammer.